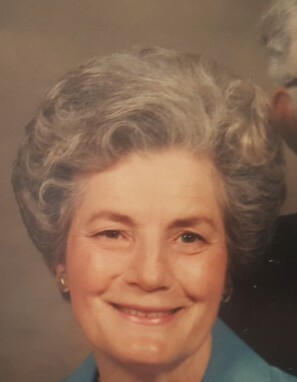 Birdie Lou Sims, 90, of Omaha, IL, formerly of Greenville, died Tuesday, November 20, 2018 at Wabash Christian Nursing Home in Carmi, IL. She was born September 30th, 1928 in Moorhead, MS, the daughter of Jacob and Bertha (Fitts) Gammill. She was a registered nurse at Delta Regional Medical Center most of her life, she retired in 1992. Seven years after retirement she moved to Illinois to be closer to her family. She was a member of the First Baptist Church of Greenville. She was preceded in death by her parents; and husband, Cecil Sims. She is survived by her daughter Judy Sims Ellis and her husband Joe of Omaha, IL.